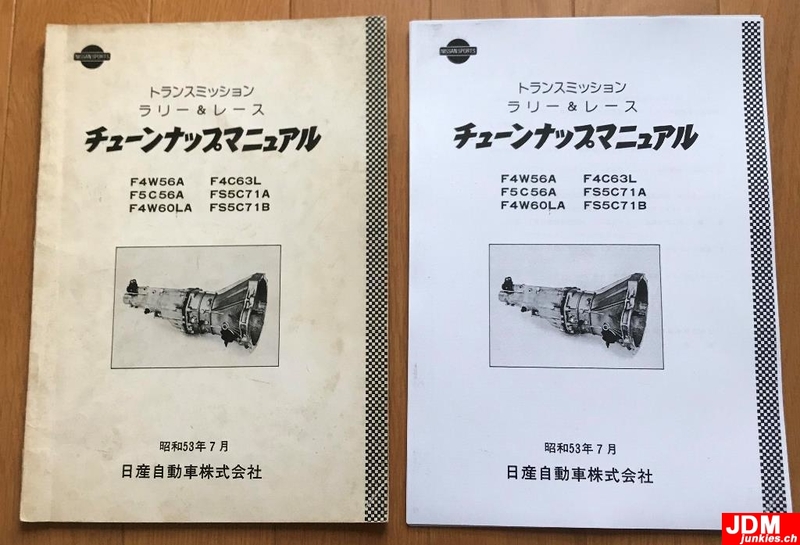 On my task to update my transmission guide with some missing information and correct some wrong data (still need to get that done) i figured out there was a book called “Nissan Sports and Rallye Transmission Manual” from Nissan Japan. 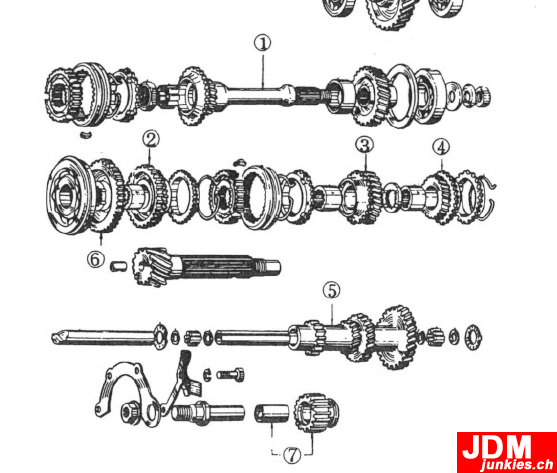 It contains a lot of background information (it’s not a service manual) about the optional Transmissions used in various Nissan / Datsun cars over the time, including the early and late 5-Speed transmissions used in the S30 Chassis. After unsuccessfully reaching out to a few people who did not want to share their knowledge, and after missing a Yahoo auction for an original printed version of it for just an hour or so, i thought i get in contact with another person i know to own one – a Japanese gentleman well known in the community. Since he was following my Project, he happily agreed to scan his original printed document for me. A few weeks later i got a printed copy in my mailbox. 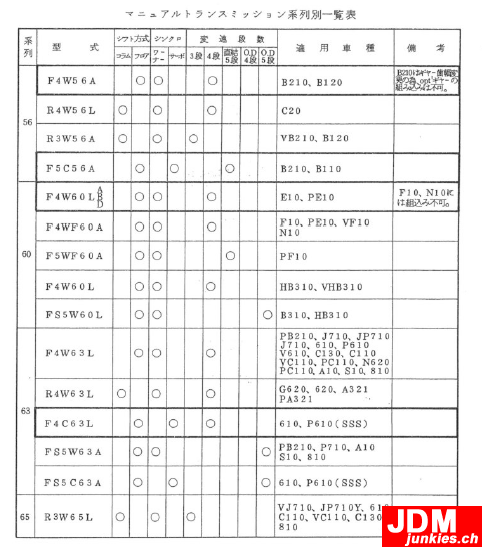 Since this document rarely pops up as a complete manual, i kindly asked if i may scan it and release it online and he happily agreed again. To support the Datsun community with rare documentaion is important. 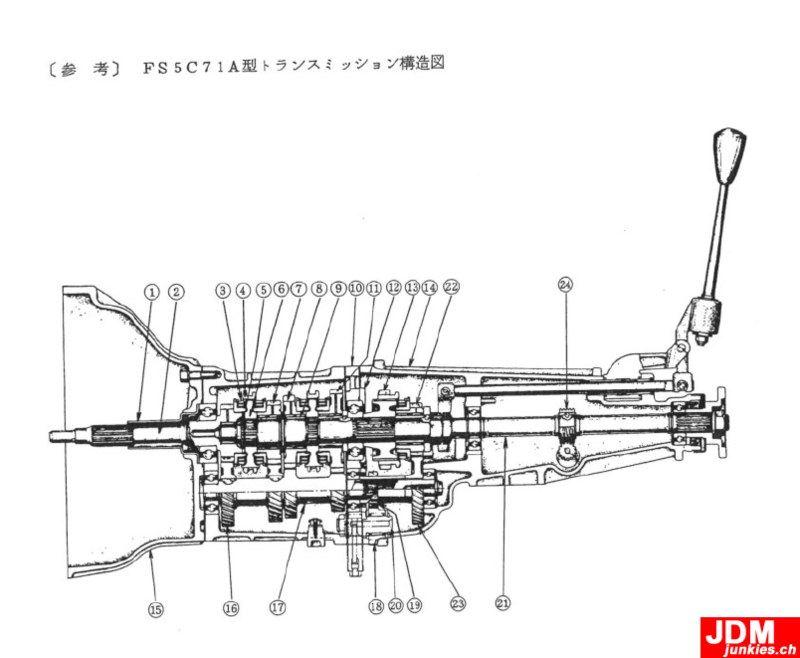 This entry was posted in 240Z Knowledge posts, 240Z Project. Bookmark the permalink.